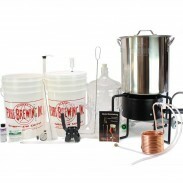 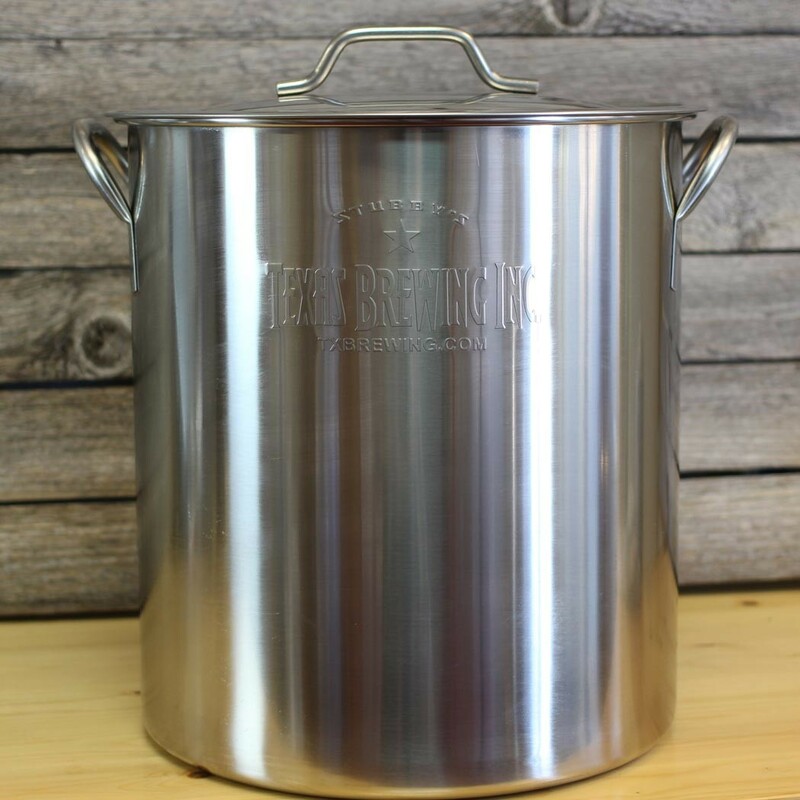 10 Gallon Stainless Steel TBI Brew Kettle - Texas Brewing Inc.
A custom TBI 10 gallon stainless steel boil kettle that's perfect for the beginning brewer. 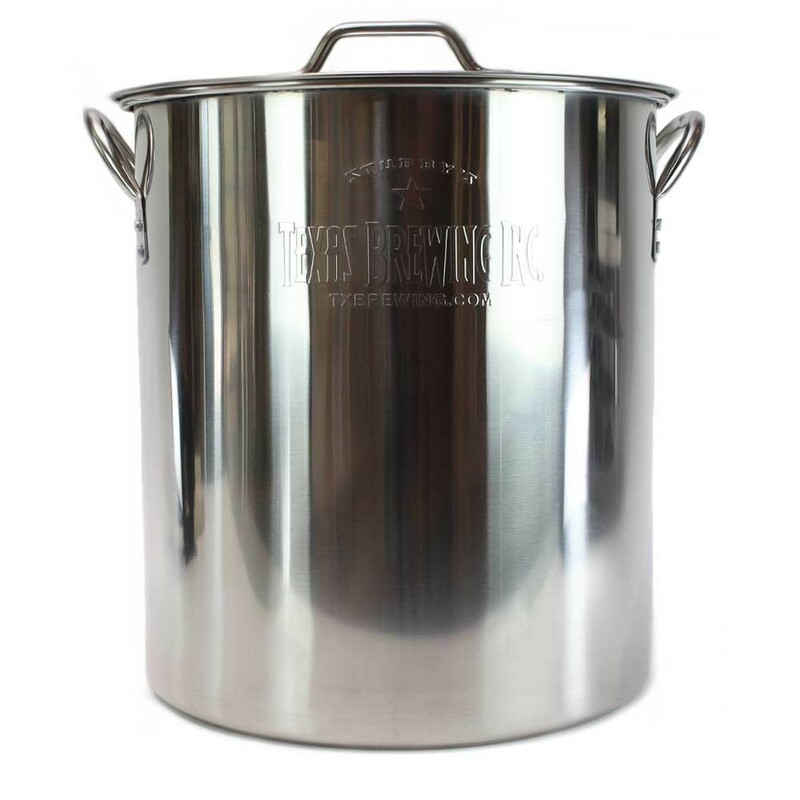 A custom TBI 10 gallon stainless steel brew kettle that's perfect for the beginning brewer and beyond. 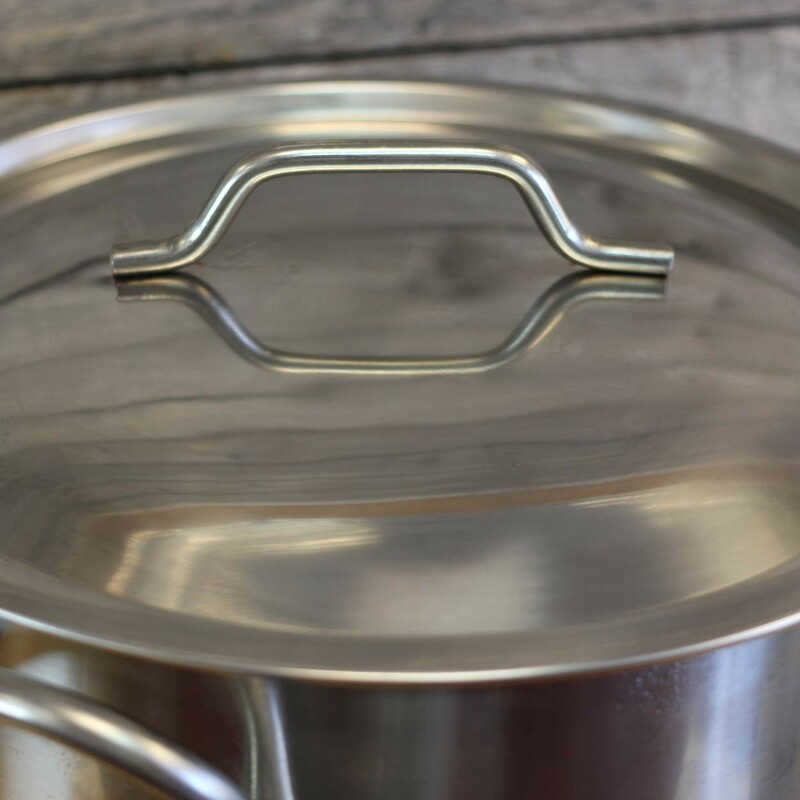 These kettles have graduated markers on the back for easy water/wort measurement and brewing convenience. 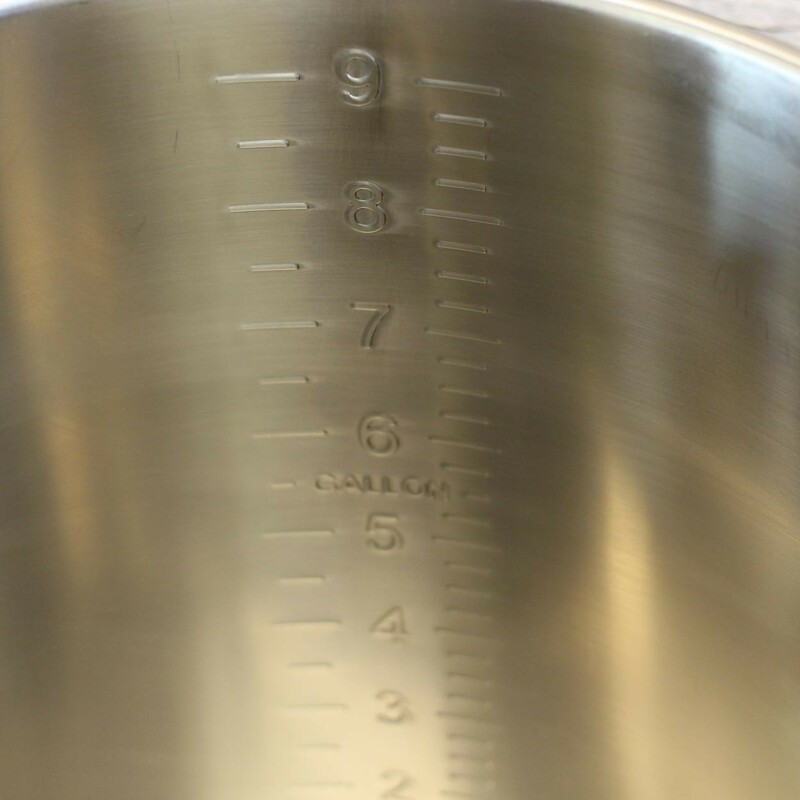 Also included is a quality fitted domed lid.